OMG Posters! » Archive Angryblue's Tomahawk Poster - OMG Posters! I really love when Angryblue does cute stuff. 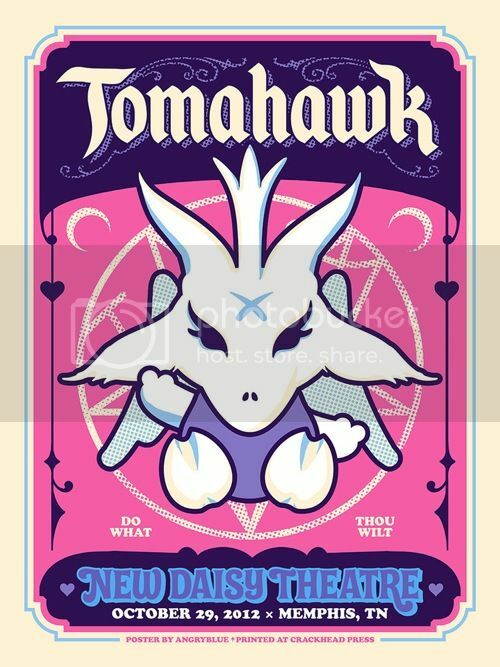 His new Tomahawk poster is an 18″ x 24″ screenprint, has an edition of 200, and costs $40. Visit his shop.